PRINCETON, NJ (April 24, 2019) – In its 17th year of operation, the HSLANJ Group Licensing Initiative is offering more than 700 quality electronic resources, at 15-70 percent savings off regular pricing, to all medical librarians in the NNLM/MAR, NNLM/SEA and NNLM/NER. The deadline for participation is Friday, May 3. Due to the online ordering system, no exceptions can be made regarding the deadline. The HSLANJ GLI greatly appreciates and welcomes early orders. The HSLANJ Group Licensing Initiative debuted in 2002 as the first consortium of its kind in the nation, specifically aimed at reducing the cost of electronic resources for medical librarians. The HSLANJ GLI is recognized by the National Network of Libraries of Medicine (NNLM) as the lead organization capable of assisting health sciences librarians obtain resources. Questions? Please see www.hslanj.org or contact Robert T. Mackes (570-856-5952 or rtmackes@gmail.com). Founded in 1972, HSLANJ is a non-profit organization which encourages the professional development and advancement of librarianship to improve the quality of library services provided by health care organizations. The University of Pittsburgh Health Sciences Library System (HSLS) invites applications for the position of Academic Coordinator for the Middle Atlantic Region of the National Network of Libraries of Medicine (NNLM MAR). We are looking for an energetic, creative, innovative, and service-oriented individual interested in being part of a collaborative team that works together to improve access to, and sharing of biomedical and health information resources, with an emphasis on resources produced by the National Library of Medicine. Funded by the National Library of Medicine (NLM) through a cooperative agreement, HSLS serves as the regional medical library headquarters for the Middle Atlantic Region, one of eight regions in the NNLM nationwide program. NNLM MAR comprises Delaware, New Jersey, New York and Pennsylvania. The NNLM mission is to ensure health professionals, researchers, the public health workforce, patients, families and the general public have access to quality health information. The Academic Coordinator has primary responsibility for designing and evaluating outreach and education programs aimed at library staff working in academic institutions, with a special focus on community colleges, research universities and colleges/universities with programs in the health sciences, health and science education, library science, emergency management, and environmental health. The position has an expanded role in aligning NNLM MAR programs for academic libraries with new and changing NLM initiatives. This position is NNLM MAR’s liaison to initiatives aligned with NLM’s call for a new generation of “data-savvy librarians”. Application review will begin May 15, 2019. NNLM MAR Executive Director Kate Flewelling will be at the Medical Library Association conference and would be happy to speak with anyone interested in the position. Please email her (flewkate@pitt.edu) to set up a time. Connection, education, participation, and empowerment—these are defining characteristics of strong and healthy communities. The All of Us Research Program aims to advance discovery in biomedical research and improve health by providing more precise, individualized treatments for disease. The All of Us Research Program is a clinical trial that seeks the participation of over one million individuals traditionally underrepresented in biomedical research—people of color, women, people of diverse sexual orientations and identities, and people from diverse environments and socioeconomic backgrounds—to make biomedical advancements possible. The NNLM/All of Us partnership empowers public libraries to educate the public about the All of Us Research Program and connect participants with health information. Through the partnership, libraries are encouraging people to take an active role in their health, by asking questions, learning about data privacy and informed consent, and learning how to find reliable health information. Libraries are also encouraging the public to participate in discussions about research ethics and genetics, and to think critically about these issues when assessing the value of their own contributions, as individual participants, to clinical research, medical advancements, and health of their communities. Libraries empower their communities by listening to their health needs, convening discussions, offering health and wellness programs, and finding answers to their health related questions. Libraries truly are the foundations of strong and healthy communities through connection, education, participation, and empowerment. The NNLM encourages you to celebrate National Library Week, April 7-13, and discover how libraries are building a strong community. Because mental health conditions are real, common and treatable, May is recognized as Mental Health Month – as noted on the National Health Observances calendar. 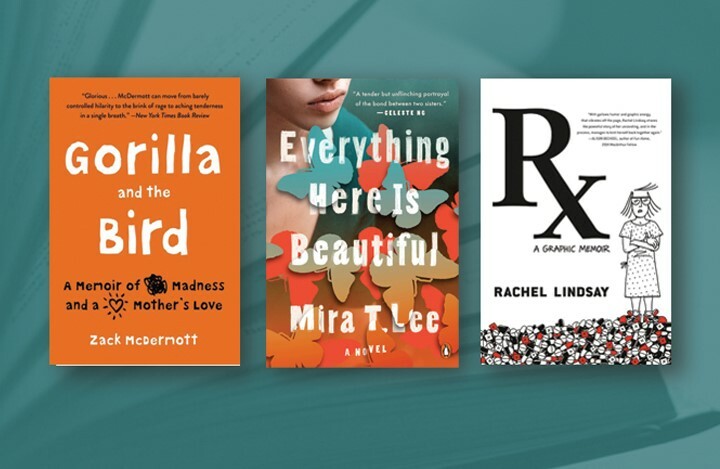 To help raise awareness and to find a variety of trustworthy resources and program ideas to help educate and reduce the stigma often associated with mental health disorders, choose one of the NNLM Reading Club’s featured selections. Read the book, share the information, and start the conversation. The University of Washington Health Sciences Library (HSL) seeks an energetic, creative, innovative, and service-oriented individual for the position of Outreach Coordinator in the Regional Medical Library (RML) for the National Network of Libraries of Medicine, Pacific Northwest Region (NNLM PNR). The goal of the NNLMis to advance the progress of medicine and improve public health by providing U.S. health professionals with equal access to biomedical information and improve individuals’ access to information to enable them to make informed decisions about their health. Musings from the Mezzanine: AI is coming. Are the data ready? When was the last time you used Wikipedia? With more than 7 billion views a year on over 155,000 health topic pages, Wikipedia may be the most popular online health information resource. Acknowledging that Wikipedia is a highly trafficked source for health related topics, it is then vital that we strive to improve the content and citations provided in health and medicine articles to ensure that our health professionals, patients, and patrons have access to high-quality, reliable information. Building on the success of two past events, the National Network of Libraries of Medicine is continuing its efforts to improve consumer health information on Wikipedia with its third Edit-a-Thon on May 6, 2019. Using trusted National Library of Medicine resources like PubMed, MedlinePlus, and Genetics Home Reference, we will be working to add citations to existing Wikipedia articles related to health equity. New to editing Wikipedia? Get ready for the event by watching our past training hosted by Dr. James Heilman, a physician and active WikiProject Medicine editor. In this introductory session, Dr. Heilman provides an overview of the importance of Wikipedia and demonstrates how to add a citation to existing articles. New for this Edit-a-Thon is an in-person editing session held at the Medical Library Association Annual Conference in Chicago, IL. Led by Aimee Gogan, Alicia Lillich, and Elaina Vitale, the immersion session will describe the importance of Wikipedia as a resource for health information and how librarians can utilize their research skills to make Wikipedia a better evidence-based resource. 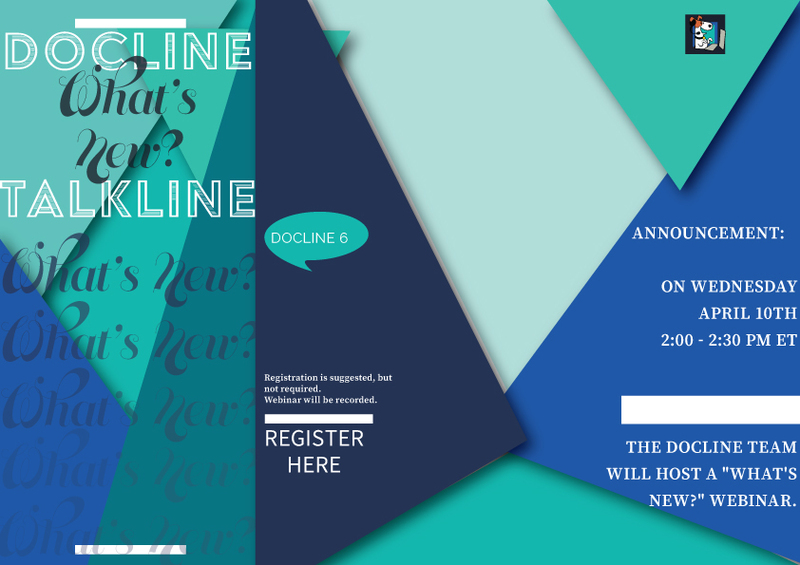 Not only will attendees participate in live editing of health equity articles, they will become part of a community of Wikipedians dedicated to improving health information. If you will be attending MLA, please join us on Monday, May 6 from 2:00 PM – 3:25 PM for this lively and engaging session! Kiri is a recent graduate of the University of Maryland where she earned her Masters of Library and Information Science. During her time at UMD, she worked as a graduate assistant in the STEM Library and a media reformatting assistant for the University’s special collections. She also served on the Library’s Web Advisory Committee. 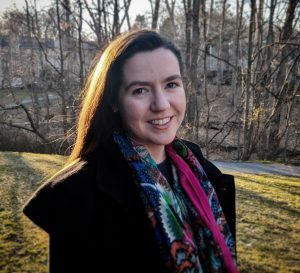 Before earning her MLIS, Kiri served as an AmeriCorps volunteer for two years with the Maryland Conservation Corps, working on conservation and environmental education programs for the Maryland Park Service. She’s also planned and led museum education programs for her county’s living history and heritage organization and worked in public libraries. On the weekends, Kiri spends as much time as possible in parks, gardens, and outdoor museums, working toward her goal of visiting every one of Maryland’s state parks. Summary: Evidence-based practice (EBP) is a key part of healthcare today and is of growing importance to nursing practice. The increasing interest in EBP provides librarians with an avenue for partnering with nursing colleagues and demonstrating the value librarians can bring to an organization. This webinar will situate evidence-based practice in modern healthcare and describe how it has become central to nursing practice. The webinar will focus on identifying key roles and strategies librarians can employ to support nurses in applying evidence-based practice to patient care. Understand the place of evidence-based practice in healthcare today and why it has become central to nursing practice. Identify opportunities librarians can take advantage of to support the evidence-based practices of nurses. Pre-Register: Pre-registration is strongly recommended, but not required. Congratulations to the 2019 MLA Awards, Grants, and Scholarships Recipients! MANE Select v0.5 is now available! Summary: Mobile applications connect more people to health, wellness, and fitness information than ever before. Across all mobile platforms, fitness and health applications are some of the most popular and most frequently downloaded. How can librarians help consumers and patients navigate the growing field of health and wellness applications? By better understanding how to evaluate applications, librarians can help their users make informed decisions about the apps they choose to download. This webinar focuses on understanding how to evaluate apps and provides information about recommended apps. Selected apps will be discussed. Presenter Bio: Emily Hurst currently serves as the Deputy Director and Head of Research and Education for the Tompkins-McCaw Library, she has over ten years of experience in health science libraries. She oversees the operations of a diverse group of liaison librarians and ensures that the library meets the information needs of health sciences students, faculty, and staff. In addition, she works closely with outreach efforts in the Richmond community and supports efforts of the Community Health Education Center to bring health information to the community. Having previously worked as the Technology Coordinator for the National Network of Libraries of Medicine, South Central Region, Emily has a strong background in National Library of Medicine resources and has experience integrating these resources into educational settings. The NNLM Reading Club is a “ready-to-use” book kit with free and downloadable materials designed to help libraries support the health information needs in their communities. Book selections support topics that align with the NIH All of Us Research Program and recognize a National Health Observance. Through the fun and intimacy of a book club, readers will discuss health and wellness topics important to them and their loved ones. We know you read, after all, you’re a librarian! So please share your favorite fiction, nonfiction, memoir, graphic novel, or young adult health-themed books that will make for a lively book discussion, and our selection panel will consider them for upcoming NNLM Reading Club picks. Please visit https://nnlm.gov/Z4A to share your ideas! PRINCETON, NJ (September 21, 2018) – More than 700 quality electronic resources are available at a 15-70 percent savings off regular pricing to all medical librarians via the HSLANJ Group Licensing Initiative’s Spring 2019 Offer. All librarians in three NNLM regions are welcome to participate (the NNLM/MAR, NNLM/SEA and NNLM/NER). 2019 marks the 17th year of the HSLANJ Group Licensing Initiative, which debuted in 2002 as the first consortium of its kind in the nation, specifically aimed at reducing the cost of electronic resources for medical librarians. The HSLANJ GLI is recognized by the National Network of Libraries of Medicine (NNLM) as the lead organization capable of assisting health sciences librarians obtain resources. Congratulations to the recipients of the 2019 Medical Library Association (MLA) awards, grants and scholarships from the NNLM Southeastern/Atlantic Region! Awardees will be recognized at the Medical Library Association Annual Meeting in Chicago, IL. For a complete list of awardees, you can visit the MLA website.